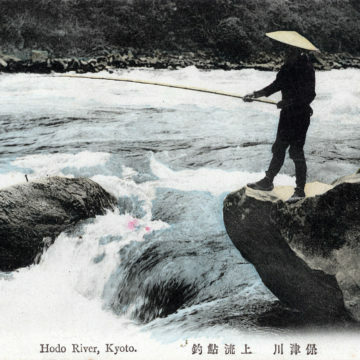 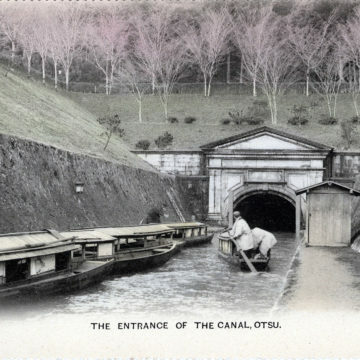 Fishing at Hozu River, Kyoto, c. 1910. 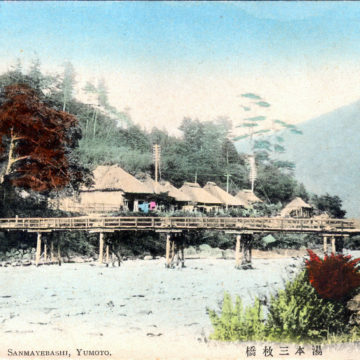 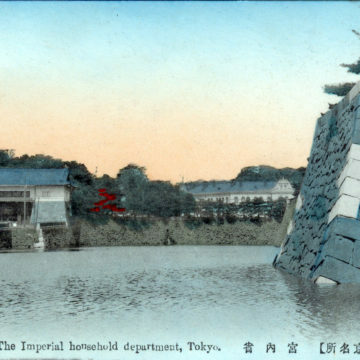 Daigo Sambo-in, Kyoto, c. 1910. 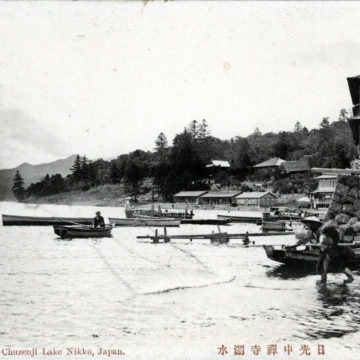 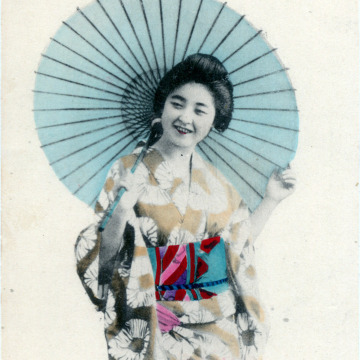 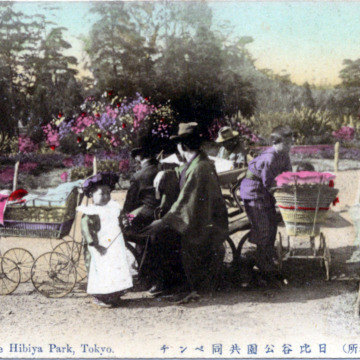 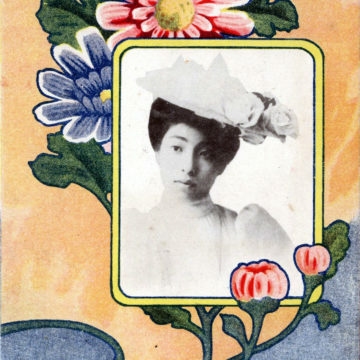 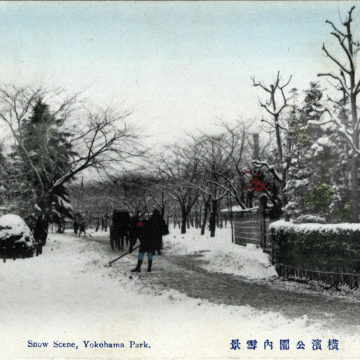 Ofuro (bath) culture, c. 1910. 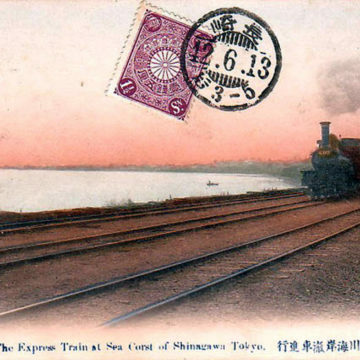 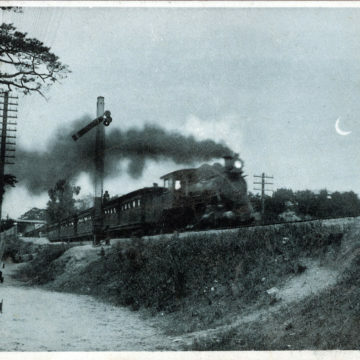 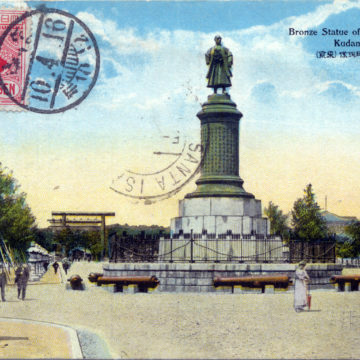 “The Express Train at Sea-Coast of Shinagawa,” 1912. 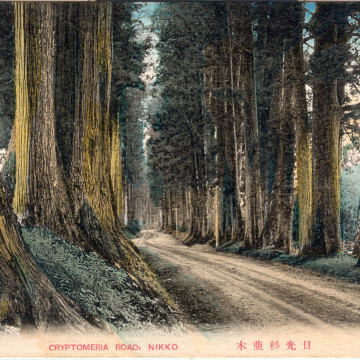 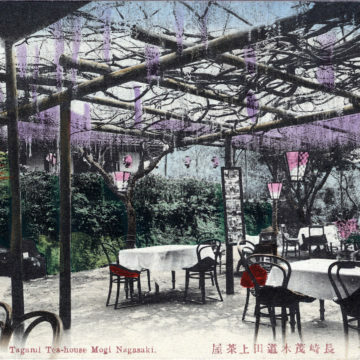 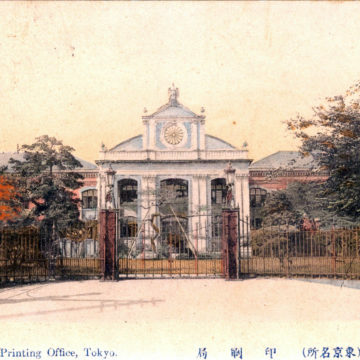 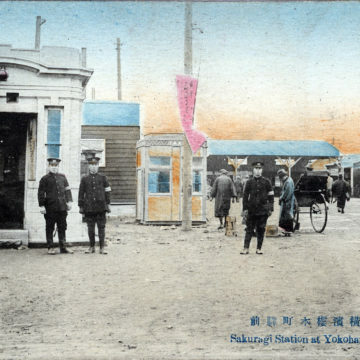 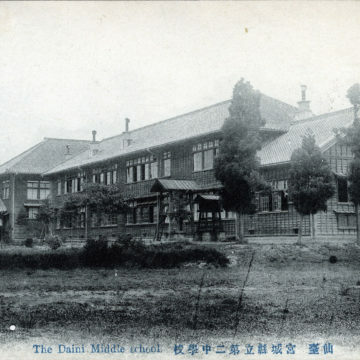 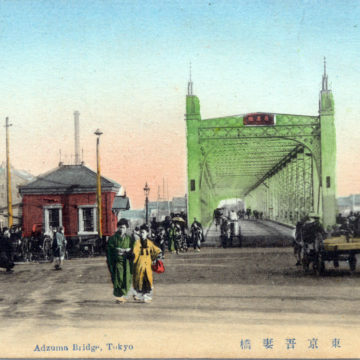 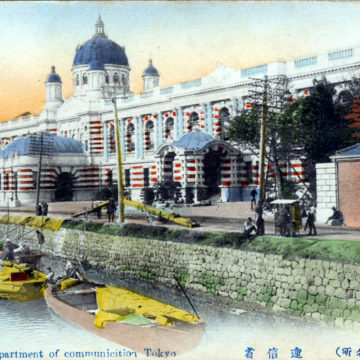 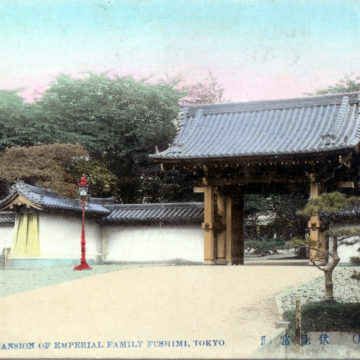 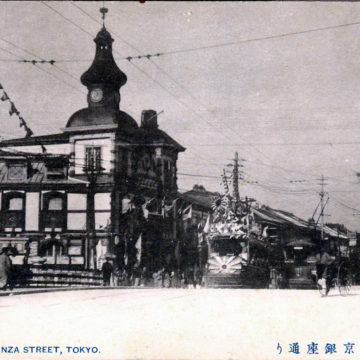 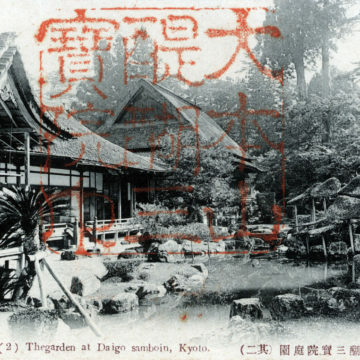 Tagami Tea-house, Mogi Road, Nagasaki, c. 1910.